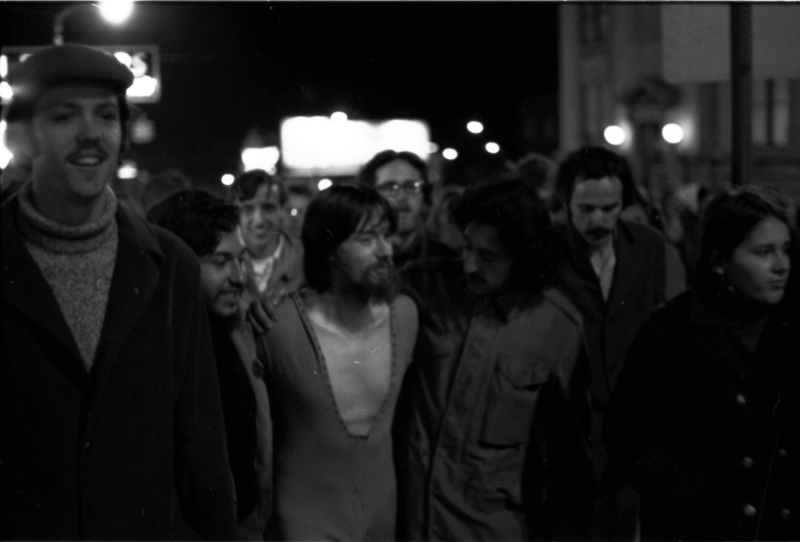 Description Photograph depicting Jim Retherford walking with Joel Allen and others after being bailed out of jail the night of October 14, 1969. Leftist student leader Joel Allen is seen on Retherford's right. Retherford is still wearing the devil costume he wore when he attacked visiting lecturer Clark Kerr with a pie earlier in the evening. 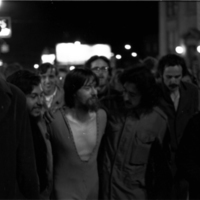 Dave Repp, “Retherford and Allen,” Indiana University Archives Exhibits, accessed April 19, 2019, http://collections.libraries.indiana.edu/iubarchives/items/show/451.